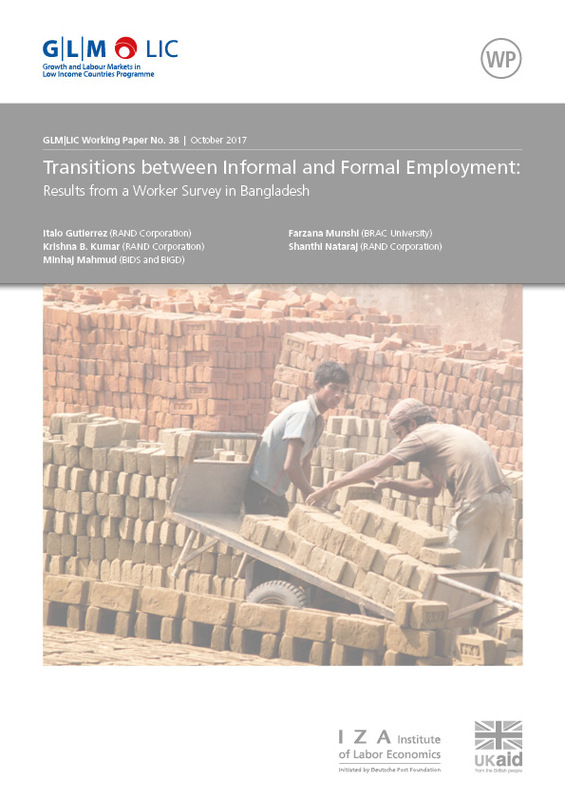 We document transitions between different types of formal and informal employment using retrospective job histories from a new survey of 2,000 workers in two metropolitan areas of Bangladesh. We find that workers transitioning between jobs are most likely to remain in the same type of employment, but that there is substantial churn across employment types. Private wage employees are most likely to transition to a new job, and the observed changes in earnings and job benefits provide evidence of upward mobility. Nevertheless, we also find a non-trivial risk of downward mobility, especially for those transitioning into casual employment, which has the lowest level of earnings and benefits and the highest levels of exposure to workplace hazards and violence. Our results also suggest that self-employment is not always an activity of last resort. 30% of workers who leave private employment move to self-employment; among these workers, many quit voluntarily, and most report that they prefer it to wage employment. Overall, our findings suggest that there are elements of informal employment consistent with both the traditional view that it is a segmented portion of the labor market with few prospects of upward mobility, and the alternative view that it is a dynamic, entrepreneurial alternative to wage employment.